Is there anyone out there who owns an embarrassing quantity of cookbooks? Like spilling off the shelving unit, taking over your night table, embarrassing? I might know someone with that embarrassing situation. Someone who spends WAY too much money fueling this habit. The thing that makes it a little more embarrassing is that said-someone rarely actually cooks from said-cookbooks. She reads them like other people read fiction. She takes them to the beach and to the pool. Seriously. She draws inspiration and ideas from them. But she rarely actually cooks a full recipe from them. 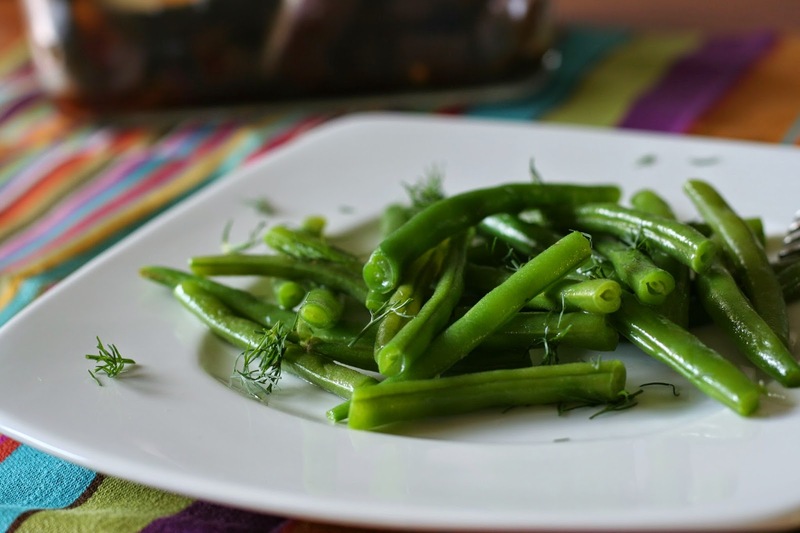 So that's why said-someone was particularly pleased to remember that one of her 139 cookbooks had a recipe utilizing two of the few ingredients in the fridge: string beans and dill. So nice to actually be able to use one of those books and convince said-family that they are not a complete waste of space and money. This recipe is adapted very slightly from The Essential New York Times Cookbook . It serves 4-6 people as a side dish. Use olive oil or margarine for a vegan version. Bring a medium pot of water to a boil. Add the salt and return to a boil. Add the green beans and continue to boil on high for about two minutes until the beans look cooked but are still bright. Test one if you're not sure. Drain the beans in a colander. Quickly pour cold water over them to stop the cooking. Let them drain completely, for at least a few minutes. Meanwhile, melt the butter in a frying pan over medium-low heat. Add the green beans and cook for 2-3 minutes, stirring a few times, till the beans are warmed through and the butter is coating them evenly. 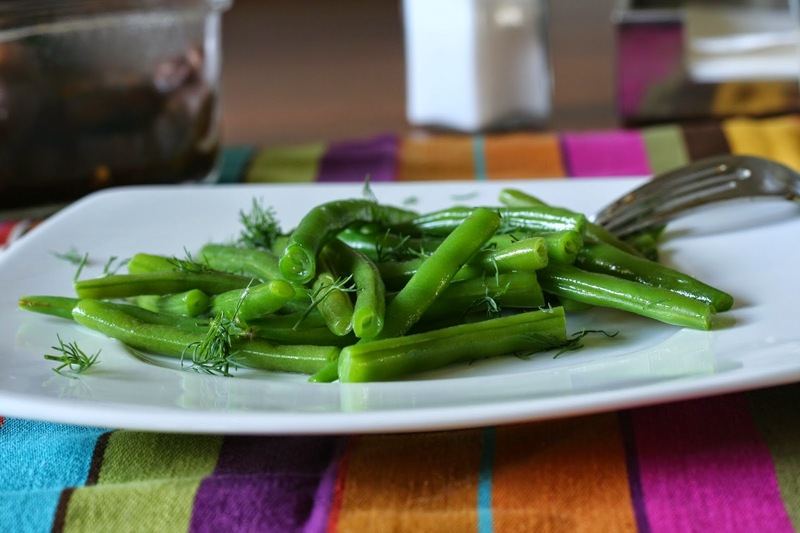 Toss the string beans with the dill and serve. Ummm guilty as charged! I have that cookbook also and rarely cook from it. OOPS! 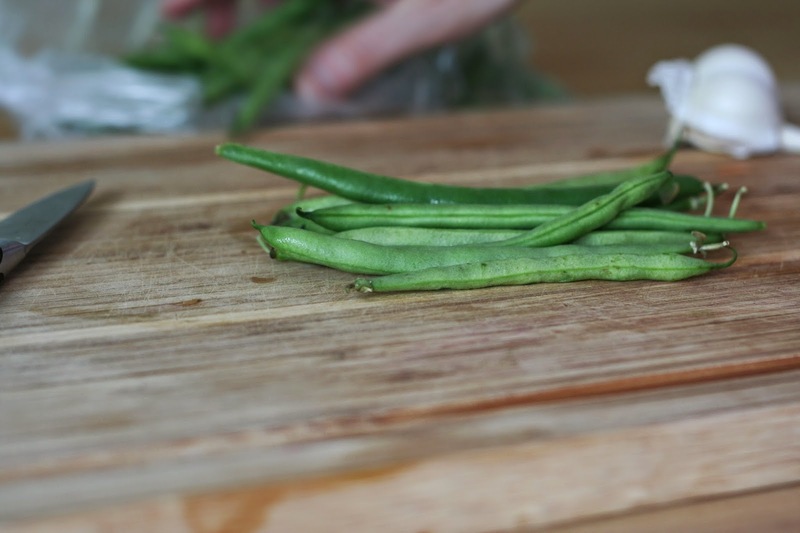 Time to get some dilly green beans in my life so that I can feel better about it. Funny thing is, I rarely cook from any of my cookbooks! I have a gazillion cookbooks too. And I do the same thing as you. Sometimes I use them for inspiration, but mostly not. 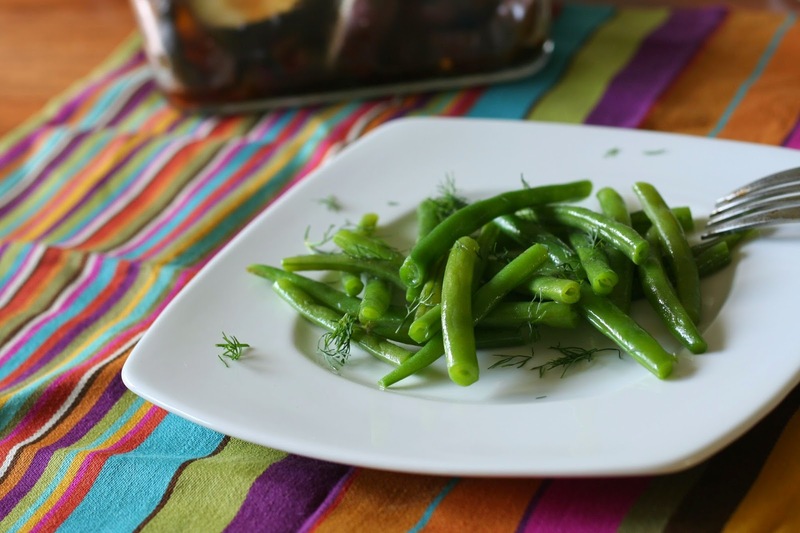 And I have made a recipe similar to this with wax beans...for some reason I love wax beans and dill! :) Thanks for the follow on Twitter...looking forward to connecting! I'm currently shopping for a new bookshelf for all my cookbooks and it's difficult finding something that will fit in my kitchen AND hold all my books! 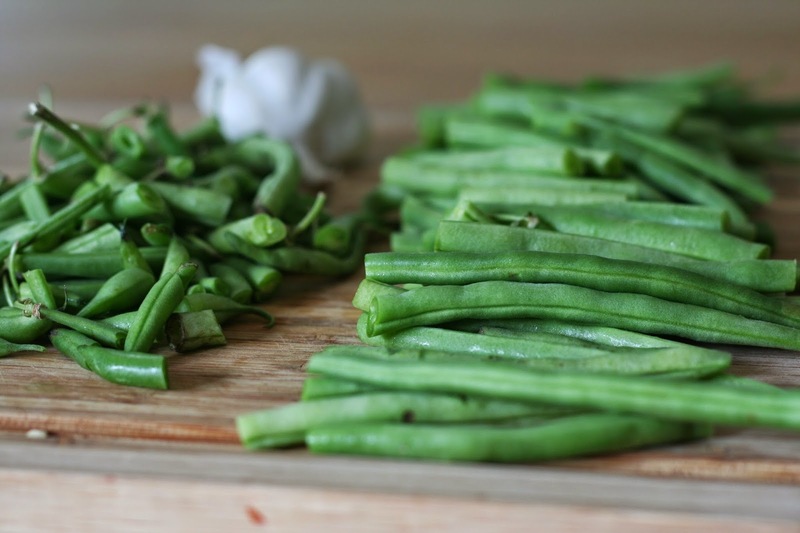 I love this simple, but super fresh side dish idea! I know just what you mean. I recently doubled my cookbook shelving, and it's still not enough! Were you talking about me? Just the past few weeks I've been making it a point to try and cook from my cookbooks - it's hard - I prefer to read them like fiction too and store it all away for future inspiration. These buttery beans look great! Sometimes simple is really best. Yes! These were simple but really delicious, especially with fresh local produce! 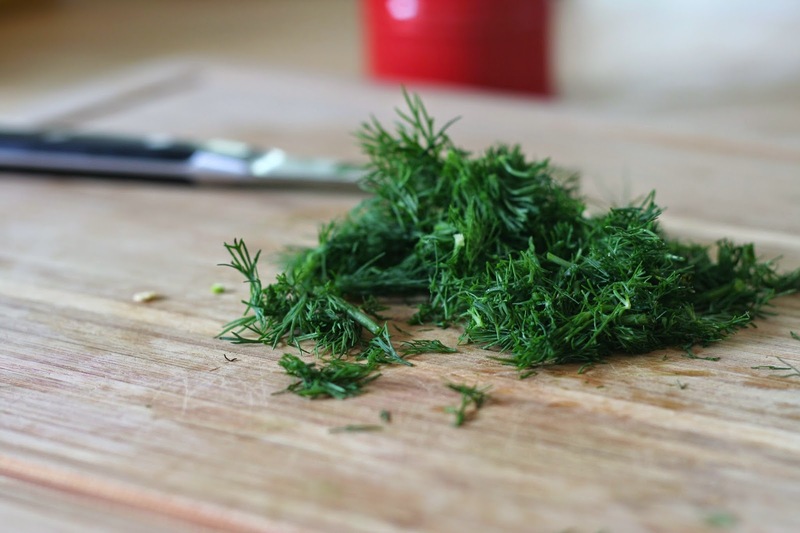 Dill has such a unique flavor and renders it to everything we put it! This is a delicious dish! Yes! I love the flavor it adds to so many dishes. We got a HUGE bunch in our CSA last week and I'm still using it up.